Cheadle is located in Greater Manchester towards the north of England. The seat was created in 1950. The current member of parliament is the Liberal Democrat Mark Hunter who has served since a by-election in 2005. There will be no issues with keeping “in touch” I am a member of the public that is council estate born and bred, I can take my working class attitude into the job of being a public servant (I hate the term Member of Parliament, it makes you sound like you’re the member of a club) and treat it as a job as opposed to a privilege. 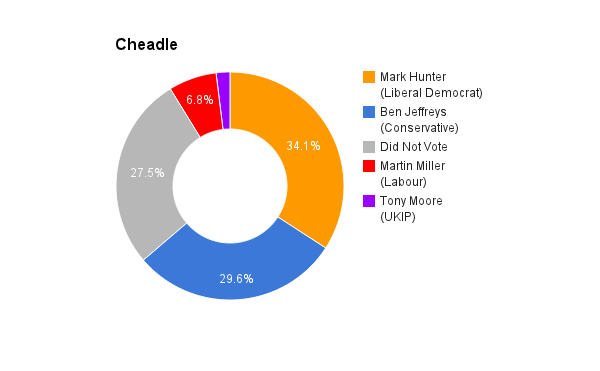 I am the best candidate for Cheadle as I want what Cheadle wants. I don’t think my opinion should be government policy I want people to tell me what they want. In my role as MP I would much rather be a public microphone for others rather than push my views onto people that don’t want them. I’m a local lad that cares about the area. I want other parts to look at Cheadle and be envious of what we have and could have. To be fair to Mark Hunter he has kept the cheque alive for the wider population and has petitions out to ban nuisance calls as well as wanting a Metrolink in Cheadle, both of which I support. Austerity doesn’t work, it causes divides and allows the workers to prop up the privileged few. I fully believe it to be ideological and it isn’t something I support. I would have much preferred to see the bankers and member of parliament that watched over and caused our economic crash in 2008 to have faced criminal action such as in Iceland. The current government promised to wipe the deficit in this parliamentary term and haven’t and have also added more to the country’s debt than a Labour did in 13 years. Immigration is vital, a large percentage of NHS workers are immigrants, if you take them out then a lot of people will suffer. Also 1 in 7 new business owners are foreign born which means they are creating jobs for others too. We already have a points system in place and I feel proud that we offer help to people from war torn countries to lead a better life. Firstly you nationalise energy, it was sold off under Margaret Thatcher under the myth of a great “shareholder democracy” and look how it’s turned out! There needs to be greater control over landlords and how easy it can be for them to up rent or evict someone, I’d look at an average rent cap across the country. The cost of living can be tackled by paying a national living wage. The NHS was set up to “cure illness” in 1945. Lots has changed since then. I’d like to see a greater investment in more hospitals particularly specialist hospitals, I’d like to see more funding for nursing degrees and GP practises adjoining the hospitals for non emergencies, taking a waiting backlog off A&E. I’d like to see hospital care and social care merged and more funding in preventative care. 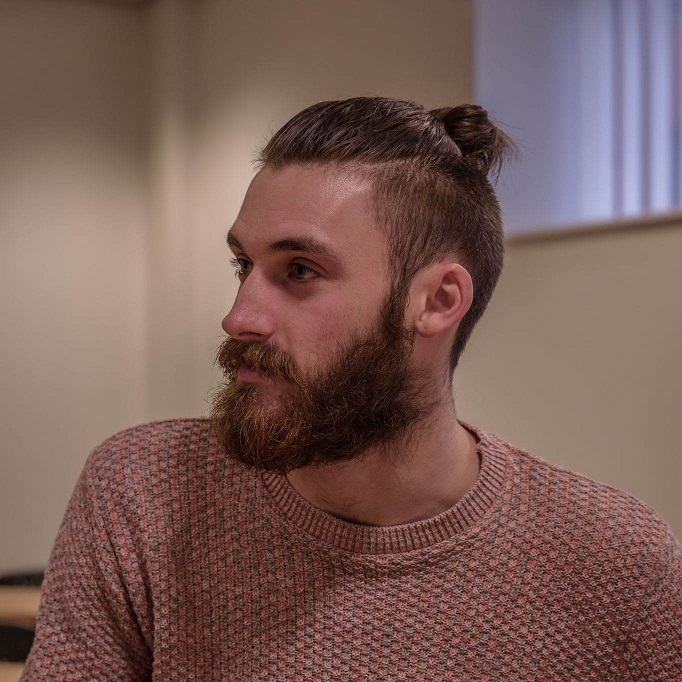 The people in the job centre who have had their job cuts need to be re-employed and given Jobseekers who are their one to one support rather than being oversubscribed and just becoming a box ticking service. I’ve lived it, it’s awful and demoralising and doesn’t work. The key is education and a variety of choices in high school, introduce apprenticeships at 15 if children fancy them more. In a word yes, it costs approximately 35 thousand pounds to become an MP. Only a certain person can afford to work for free and yet have 35 thousand pounds spare which is why you will only get a certain type of politician. I’d definitely support any scheme to get more working class, female or BAME candidates standing for parliament. All of which are lacking in Westminster. I would vote yes and would encourage my constituents to do so. The EU has seen us go through the longest period of peace time in a millennia. They do vital work on the environment, fisheries, education and living standard as well as food. A big plus is ANYONE can contact the EU and change a law themselves which we have seen before, it costs a tiny amount of our economic budget to remain part of the EU and the positives certainly outweigh the negatives.